C.G. Jung Society, Seattle, in an effort to promote the ideas of Carl Jung, and to provide a forum for the advancement of Jungian psychological theories by contemporary Jungian scholars, produces regular lectures and workshops, book study groups, and introductory seminars on Jungian psychological theories. Our events are, for the most part, intended for the general public. Our annual program of events includes nine monthly lectures and workshops as well as periodic seminars and study groups, including a summer workshop series exploring Jungian topics. Our presenters include nationally-known Jungian scholars and many talented voices of our local analytical community. Continuing Education Units (CEUs) are available for counseling professionals needing credit (see “Continuing Education Units” below). 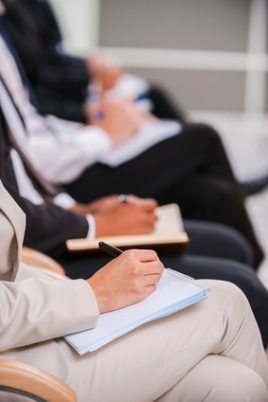 As part of our program, we offer occasional introductory seminars. Individuals who are new to Jung's theories are encouraged to take advantage of this offering. An introductory reading list can be viewed on our “Recommended Reading” page. Friday lectures are planned as stand-alone events. Saturday workshops are meant to build upon the theme of the preceding lecture with further information, discussion, and interactive exercises. We provide refreshments at all of our regular events. Program events presented by the C.G. Jung Society, Seattle, (unless otherwise noted) have approved CEUs by the Washington Chapter National Association of Social Workers (NASW) for Licensed Social Workers, Licensed Marriage & Family Therapists, and Licensed Mental Health Counselors. Our provider number is 1975-157.